Inspiration may come from everywhere, but this New York Fashion Week, it’s clear that today’s biggest singers have been influencing the designer collections. While backstage at a number of shows, we’ve been picking up the hair, makeup and manicure trends that will be huge come fall, but we’ve also noticed that the looks we’ve seen are a bit familiar. At Brian Lichtenberg’s show, the hair look was a wet, wavy style, similar to the wet bob (named the “wob”) that Beyonce wore for her performance of “Drunk in Love” at the Grammys. Besides the hair, it’s clear that Queen Bey influenced the clothing a bit, too. 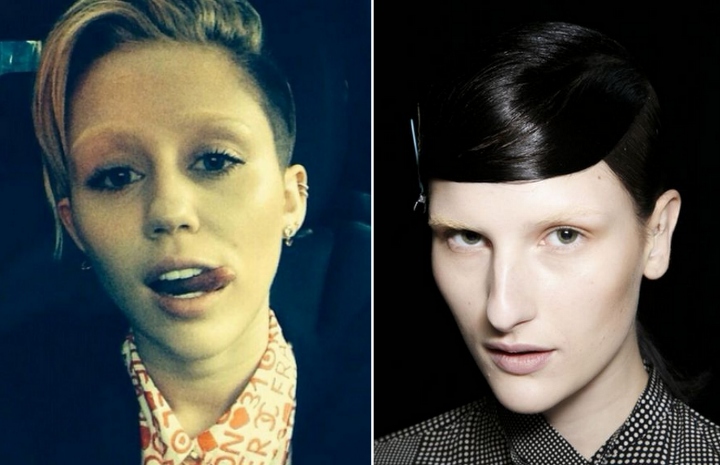 A couple of months back when Miley Cyrus posted a photo of her bleached eyebrows to Instagram, the social media world went wild, and it wasn’t until her W Magazine cover came out that the lightened brows made sense. During Alexander Wang’s fall 2014 show, models — including famous faces like Karlie Kloss and Candice Swanepoel — had their brows bleached for the show, and the result was pretty Miley-esque. 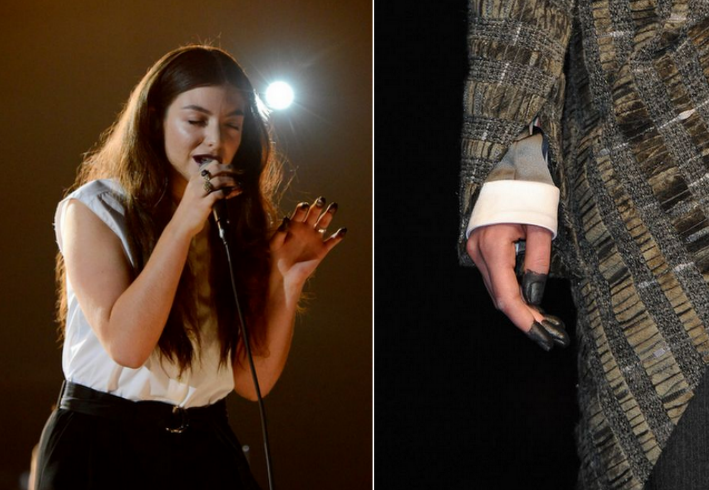 Lorde performed “Royals” at the Grammys with nails that were dipped in what appeared to be black ink, and while this originally seemed that this wouldn’t exactly start a trend, fashion week had other plans. Models at Thom Browne had the top inch of their fingers dipped in black ink, a small detail at the show that clearly pulled inspiration from the British singer.